I wanted to start this new year off being fully organized, so I set off to 4 different office supply stores and after many hours I came up empty handed, so I switched paths and went online after many hours there I went to Etsy.com there you will find a plenty of planners to choose from unfortunately so many of them contain items I did not need and none of them contained a space that I could organize my youtube and blog planning, that is when I realized I would need to create my own. 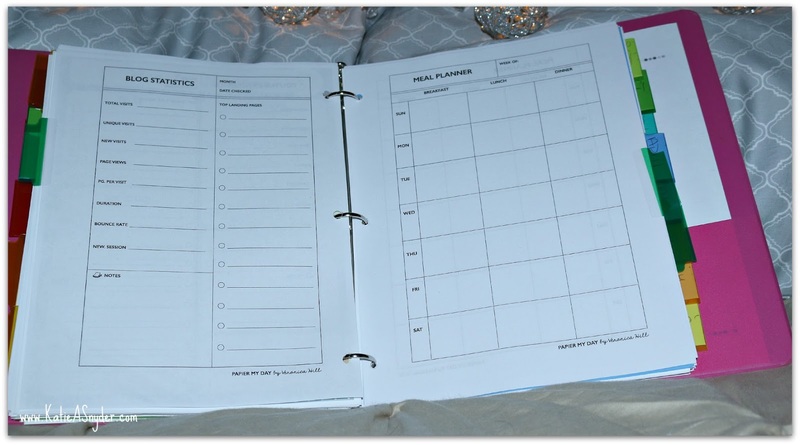 I uploaded them to UPS and had them printed and then assembled my planner using a traditional 3 ring binder, it is big but I don’t need to take this with me to the grocery store or the gym, I just need it to sit on my kitchen counter and keep my life together HaHaHa. 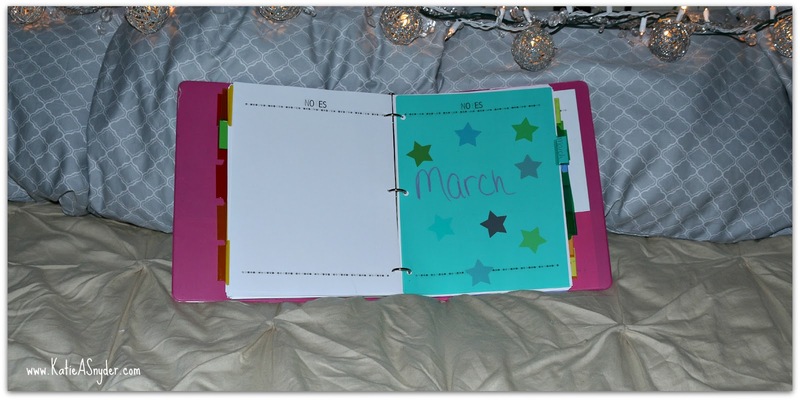 I used traditional binder dividers to separate each month, and then added binder tabs onto the different sections (i.e. calendar, meal planner, notes, etc), for every month. I simply wrote out the name of the month on plain white paper and then using Post It’s Craft Paper and Martha Stewart Craft Punches I punched out different shapes to add to each monthly page. 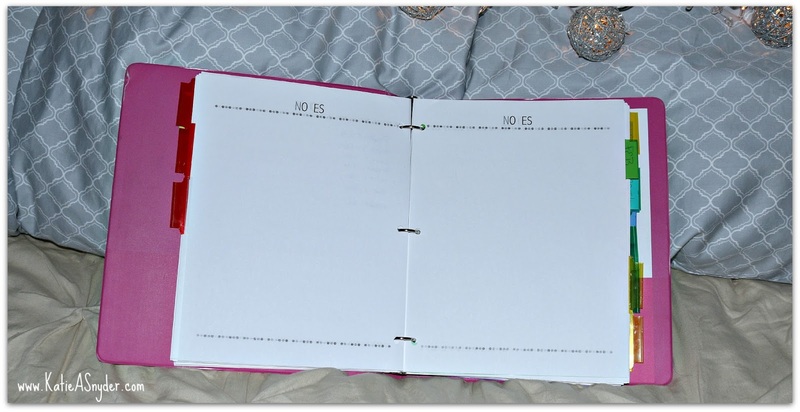 I then filled in each section with the pages I had purchased from Etsy.com and then spent the entire next day filling out my youtube/blog planner, my cleaning schedule, and my meals for the week. 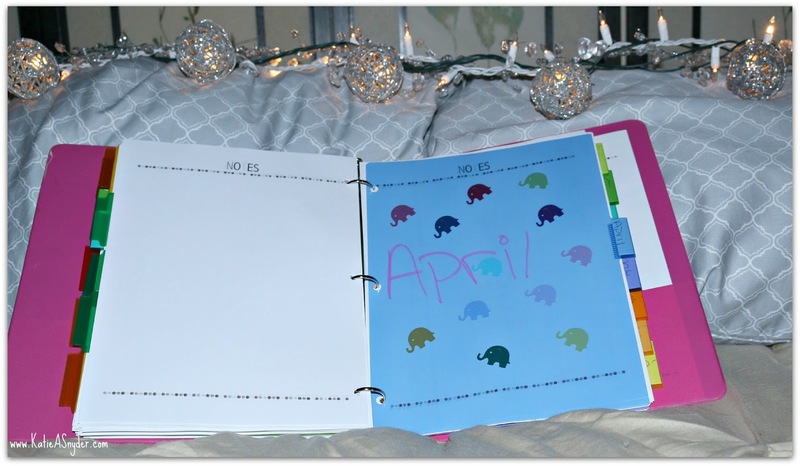 This ended up being a really fun project and helped to get my life organized, releasing me of the crazy stress I felt last year. 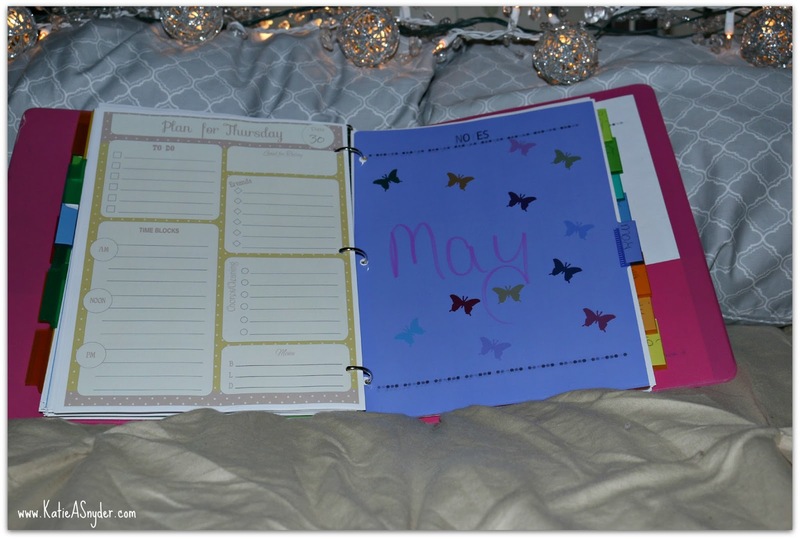 If any of you create your own planner tweet or instagram the picture using #2BeeDazzledBeauty so I can find your pictures. 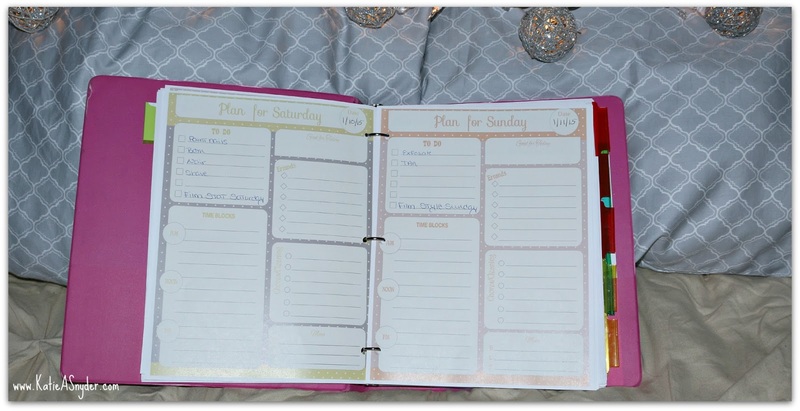 You can also see my video for this planner below.